How Has Your Cultural Upbringing Shaped Your Life? Everyone has different aspects of their lives which they can decisively say have made them who they are today. Three honors freshmen shared how their upbringings have shaped their lives. They all agree on the tenet that cultural influences have a great impact on viewpoints, aspirations and values. Surya Sekar, an industrial and systems engineering freshman, is a first generation American who grew up in a religious Indian and Hindu family. His father, the most religious member of the family, studied under the instruction of a sage in India. Sekar’s father was taught vedas, which are the ancient scriptures for Hindus, and he has taught some of these to his son. He has shared his love for the religion and its values with Sekar. 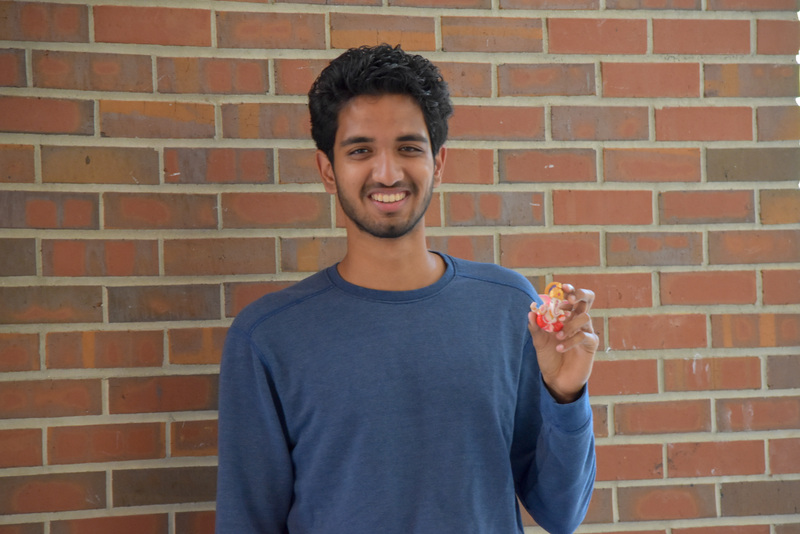 Sekar brought a piece of his Indian culture to college with him. Photographed by Sydney Yu. While his father does not force religion upon him, Sekar says that he has taken some of the elements of the Hindu religion and made them part of his daily life. He spends 15 minutes daily meditating with chants. He is grateful for his exposure to meditation. Meditation helps him destress, something that many honors students could also benefit from. He says that it is simple to incorporate meditation into a routine and that the advantages are outstanding. Another positive take-away from his culture is vegetarianism because of its health benefits, Sekar says. He adds that a nutritious diet can increase a person’s energy levels. Honors students could definitely benefit from all-time high energy while balancing all the various aspects of school. Sekar says it is not hard to find vegetarian options on campus. Going into the STEM field has been encouraged upon him as it is very prevalent in India. Sekar plans to pursue his passions by combining his STEM and business interests. “What I’m trying to aim for is something common in my culture,” Sekar said. Sekar hopes to stay close to his roots throughout his life, and he hopes to integrate his culture into his career as well as his personal life in the future. There is a far way he could go in terms of spirituality and he will continue to hold Indian values close to his heart. Tarah Anasseri, a psychology freshman, is proudly Persian. From the food to the language, she says Persian culture prevail both in Iran and her personal life. Anasseri is thankful for the family values that she has developed through her culture. Photographed by Sydney Yu. The family-based culture in Iran has made Anasseri a family-oriented person. While she was born in the U.S., hearing about the struggles her family lived through to leave their home country to secure better lives motivates her to do her best. Both of her parents had to leave Iran, the home they loved, at a young age and start new lives for themselves. Her father went to Gainesville High School, Santa Fe College and UF while living far away from his parents. When she reflects on her life as a UF student, she thinks about how hard it would be to not have her parents so close and is grateful for the support she has thanks to their sacrifices. Throughout her upbringing, her parents always placed an emphasis on education. Anasseri plans to combine this with the the Persian values of kindness and having a welcoming disposition with that of a strong work ethic throughout her ambitions for higher education and a career in the medical field. Connected with the respective heritage of both of his parents, Homar Ali says that culture is something very personal to him. 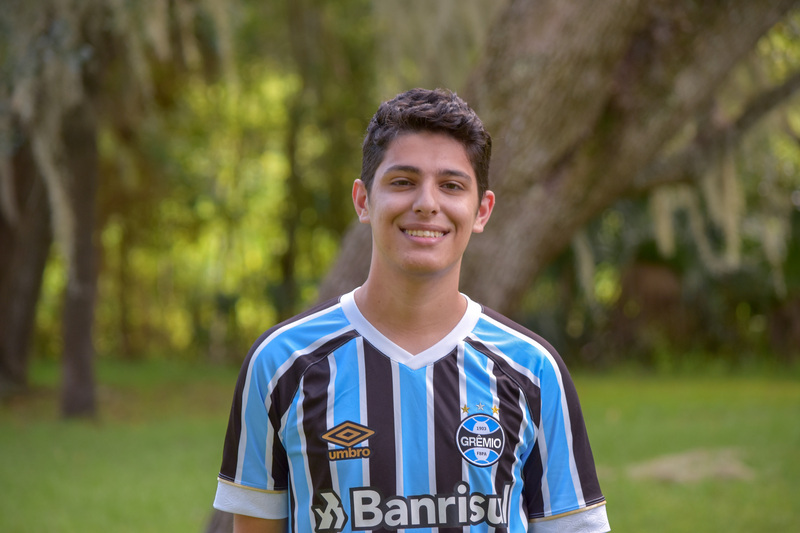 The finance freshman was born in Brazil and moved to the South Florida at 5 years old. He says that his extended family still lives there. Ali sports his Brazilian soccer jersey to show support for his team. Photographed by Sydney Yu. Ali’s hometown in South Florida houses a large Brazilian community, which allowed him to maintain parts of a Brazilian lifestyle in the U.S. He stays connected to his culture through language, soccer and his mom’s homemade food. Whenever he goes back to Brazil it feels like a home away from home. He is from Novo Hamburgo, Rio Grande do Sul, a part of Brazil culturally known for its food. In Gainesville, Ali has found a Latin market that sells his favorite Brazilian soda, Guraná. “It gives me a taste of being back at home with my parents,” Ali said. Ali relates with Brazilian music much more than any other genre. His parents played it when he was growing up and he now listens to it all the time while driving, in his dorm and at parties. When Ali began school in Florida, he did not know any English and was put in ESOL classes. He says that the work ethic emphasized in his culture motivates him. Ali says that he is incentivized by the hard work he has seen in his family and in Brazilians overall and the ways in which it leads to a fulfilling life. “Knowing that I was still building up made me want to succeed even more,” Ali said. Ali’s mother lived in Palestine for a period of her life, so he is also connected to Arabic culture. The decoration and food in his home are derived from both cultures. He says that when his mother is talking to her siblings, she switches between speaking Arabic and Portuguese. Where his family lived in Brazil, they lived alongside a large community of Palestinians, connecting him to both sides of his family. While his maternal and paternal sides have two substantially different cultures and traditions, he follows them both closely and says that there are many similarities, such as the emphasis on family values and amazing food. He says it is interesting that two different lifestyles from distinct parts of the world can be so alike despite their obvious differences in features such as food and religion. To Ali, culture is rooted in family. Every student has something different that lights the fire motivating them to do their best. 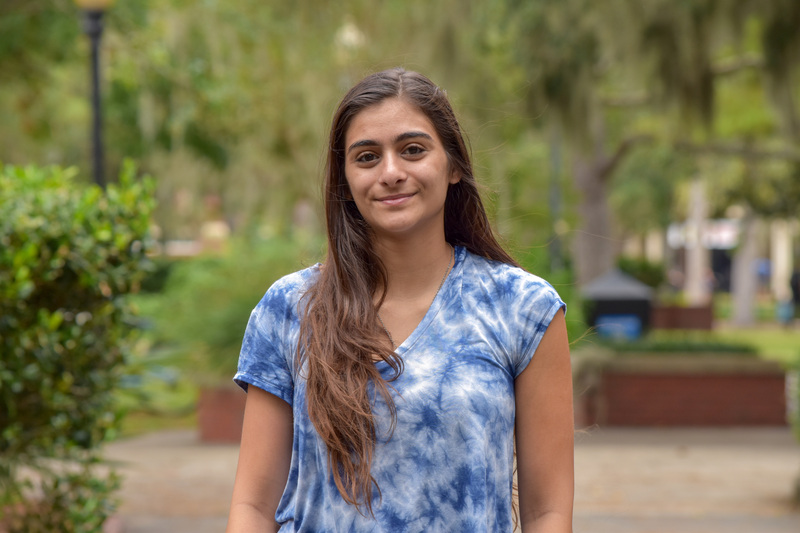 Sekar, Anasseri and Ali are examples of UF honors students who use the values they learned from their respective cultures to fuel their drives and passions. These three students highlight the importance of embracing their backgrounds as these have had a central role in shaping their lives and worldviews. Previous Which Honors Course Should You Take Based on Your Harry Potter Preferences?